– STUDIO GARBARINO is able and ready to supply many consulting services to Customers working in the Marine Industry. Stefano Garbarino, born in Genoa on November 20th, 1965, dedicated most of his life to the sea. 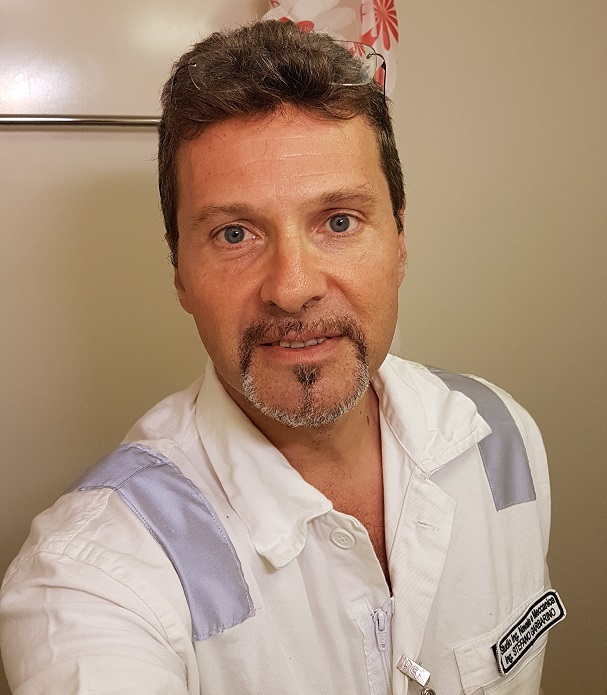 Licensed from Nautical High School as cadet Sea Captain in 1984 and graduated (Master’s degree) in Naval Architecture and Marine Engineering in 1992, he began his career as an Italian Navy Officer. His professional experience includes a short period as an employee at Registro Italiano Navale, as structural engineer and Junior Surveyor, and four years as an employee in technical support to pure Ro-Ro and chemical tanker fleets. In 1998 he founded the Studio Garbarino. Having gained an extended experience in management of fleets (Ro-Ro passenger ferries container vessels, bulk carriers, oil and chemical tankers, supply vessels), having held various high responsibility positions, as Superintendent, DPA, CSO, Technical Manager up to Chief Technical Officer, principally as exclusive consultant. In the meantime he had the possibility to continue his activity as designer, mainly in the field of vessel structural modifications, and of new working boats, as well as independent surveyor. He is registered at Maritime Compartment of Savona in the Technical Personnel for Naval Construction Register since 1994 at no. 75. He is certified as NACE Coating Inspector Level 2 (NACE CIP 2) and specialized in Marine Coating Technology, as well as Designated Person Ashore and Company Security Officer, Internal ISO and ISM Auditor. He also holds a certification as Trainer at DNVGL Academy.